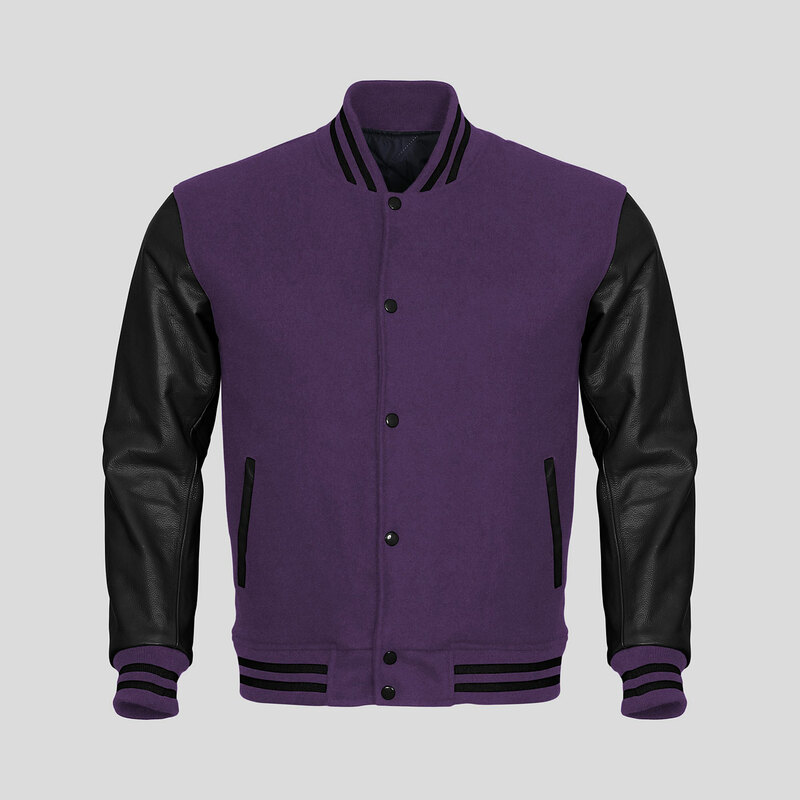 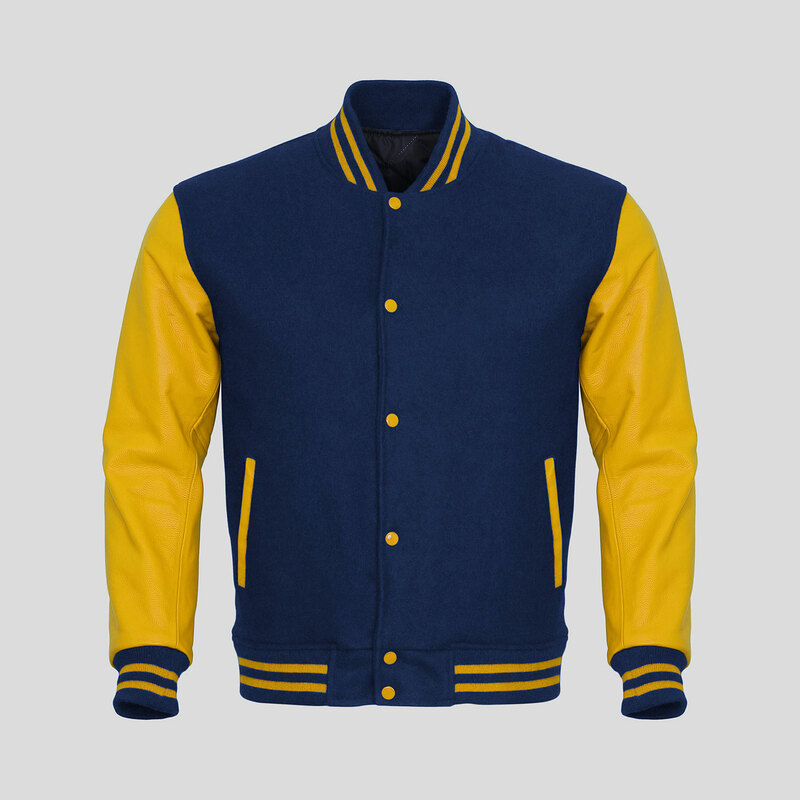 This varsity letterman jacket features finest navy blue melton wool & real gold cowhide leather. Featuring two slash pockets, one inside pocket, laser quilted lining. 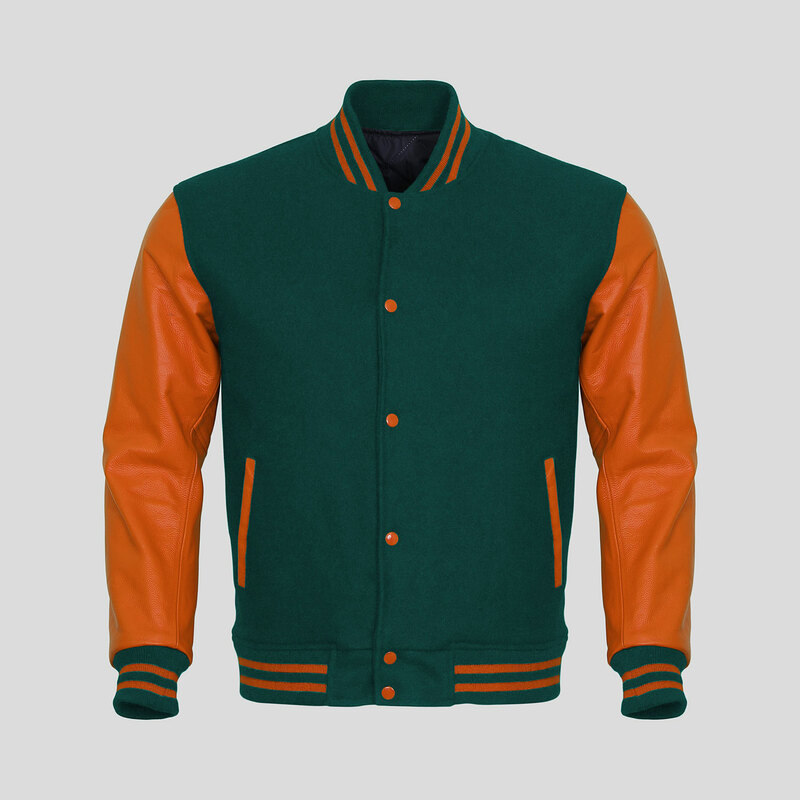 Full snap front closure. Matching tricot waist, cuff and neck bands gives a classic look.